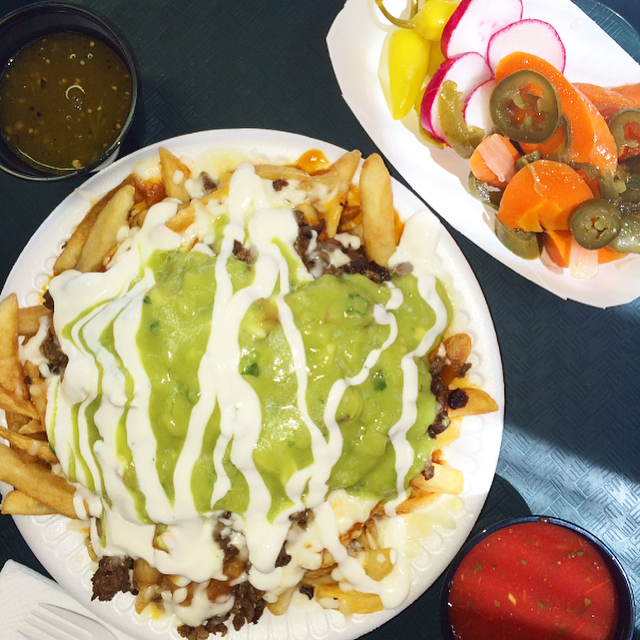 because some of the best Mexican food comes from the smallest, most inconspicuous places. and late night mexi places are key. you all know what we’re talking about. Do you ever wake up hungover, get mad at yourself for acting like you’re still in college, then get all nostalgic about college, and then convince yourself the only way to feel better is to grub like you did in college? We’ll we have a place for you (that’s not Chipotle) and it includes classic post-bars and/or morning after “snacks”, Carne Asada fries and burritos. Cinco de Mayo is open 24/7 like all your old favorites and boy is it gooood. And then, just like college, you quickly regret it all. all this for under 8 bucks. 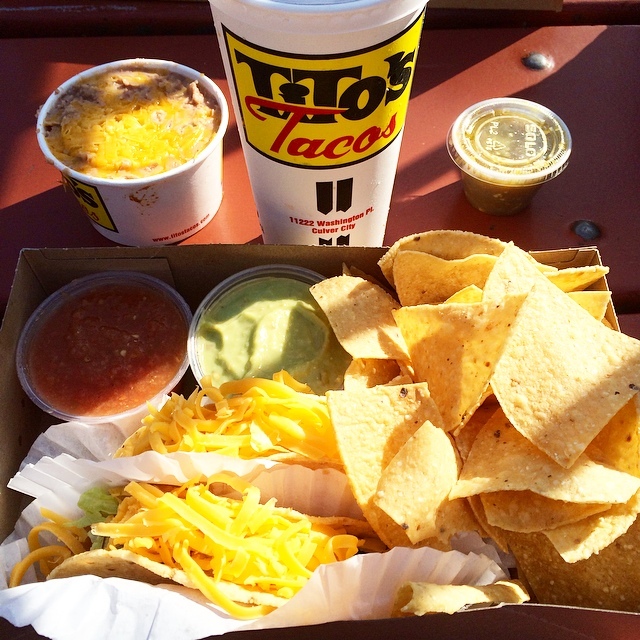 The only thing better than a Tito’s Taco… is two” #PREACH. If you know, you know, if you don’t, have you been living under a rock since the beginning of time? Always a line, always worth it, and always satisfied. Sure no one knows what the “meat” is, but let’s be real, after one bite no one cares. Sometimes the less choices, the better. With pretty much only 3 items on the menu, Coffee, Donuts and Breakfast Burritos, this new hole-in-the-wall joint has mastered simplicity at its finest. Veggie and Chorizo are your only burrito options – so indecisive people rejoice. Perfect size, ideally toasted tortilla and bold bold flavors. FYI the chorizo is smoked, so expect that smoky taste. Pingback: Now Boarding. | eat.drink.dish.repeat. 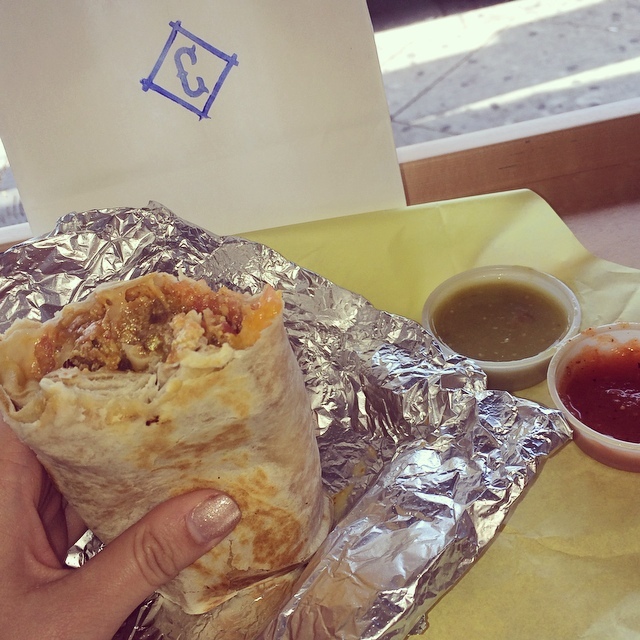 Pingback: QUICKIE: TITO’S TACOS. | eat.drink.dish.repeat. Pingback: Get Out Of Town: NYC + Cinco De Mayo Quickie | eat.drink.dish.repeat.